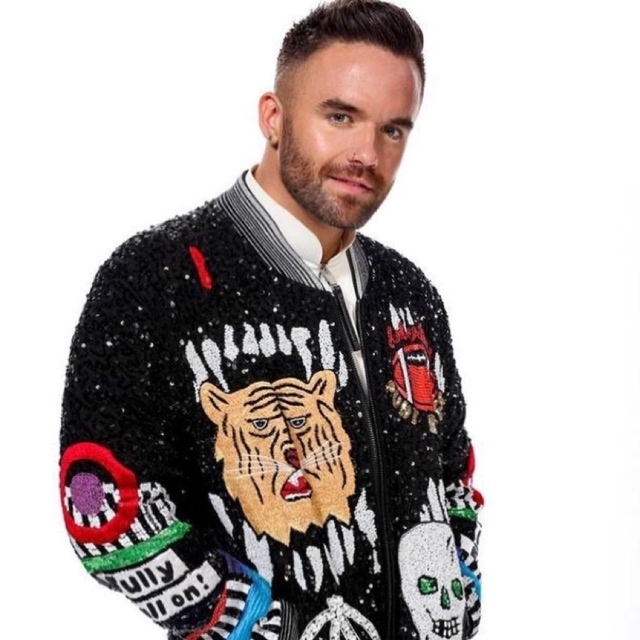 Posts tagged with "Somebody To Love"
Brian Justin Crum, best known as the powerhouse vocalist from America’s Got Talent (Season 11) and now America’s Got Talent: Champions, has just dropped a new video “We Are The Champions,” fresh on the heels of his big win. Check out his winning performance of “Your Song” here. The show-stopping talent, who garnered millions of views from his performances of Queen, Michael Jackson, Radiohead and Phil Collins –generated some of the highest online statistics seen by the show’s talent. He also won the hearts of the audience who resonated with his story of being an overweight, bullied, gay teen. He strongly supports anti-bullying and LGBT efforts. Check out “We Are The Champions” here. Crum also appears in the Queen musical ballet “Somebody To Love” on February 14. This entry was posted in Feature and tagged 360, 360 Magazine, agt, america's got talent: champions, America’s Got Talent, ballet, brian justin crum, Michael Jackson, nbc, new music, new music video, Phil Collins, Queen, radiohead, Somebody To Love, Tara McDonough, Vaughn Lowery, We Are The Champions, win, winner, your soung on February 7, 2019 by wp360mag. Forget about the king, it’s good to be QUEEN: the iconic rock band scored its highest-charting album in 38 years with the Bohemian Rhapsody soundtrack (Hollywood Records), which surged from No. 25 to No. 3 on The Billboard 200 (a 187% increase) and is currently No. 1 on the Billboard Artist 100 and Top Rock Albums charts. In addition, Queen’s Greatest Hits Vol I, II & III: The Platinum Collection rocketed from No. 194 to No. 9. The chart activity follows the film’s November 2nd opening in theaters across the country. 20th Century Fox and Regency Enterprises acclaimed biopic was the No. 1 film at the box office upon its debut with an estimated $50 million in weekend ticket sales. USA Today said it best: Bohemian Rhapsody is a hit all over again. Bohemian Rhapsody’s hit-packed companion soundtrack is Queen’s highest-reaching album since 1980, when The Game spent five weeks at No. 1. Alongside the show-stopping Live Aid performances of Bohemian Rhapsody, Radio Ga Ga, Hammer To Fall, and We Are The Champions, the album features other rare live tracks spanning Queen’s entire career, new versions of old favorites, and a choice selection of the brand’s finest studio recordings. Among them are some of Queen’s biggest hits, including eleven all-time greatest anthems that reached No. 1 around the world. Rolling Stone called the album more than just a greatest hits, praising it as ‘imaginative way to relive the band’ is genius. With record sales estimated at 300 million and counting, Queen remain evergreen rock favorites whose glorious catalog of songs continues to thrill fans of all ages across the globe. 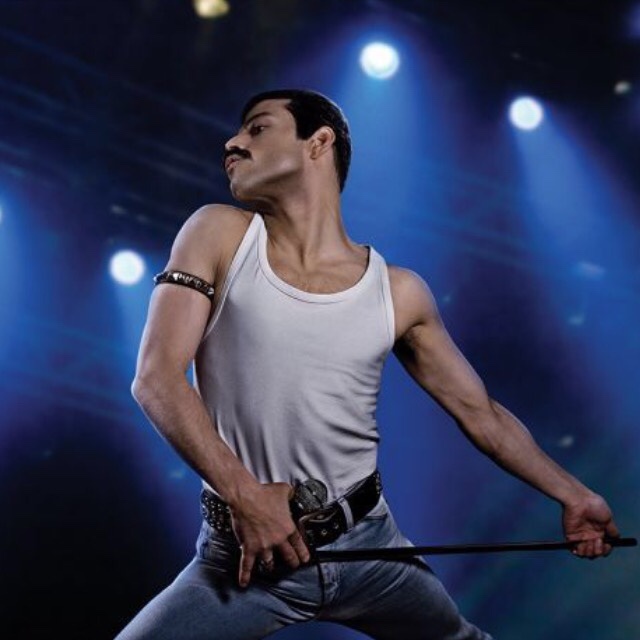 Bohemian Rhapsody is a foot-stomping celebration of Queen, their music and their extraordinary lead singer Freddie Mercury. Freddie defied stereotypes and shattered convention to become one of the most beloved entertainers on the planet. The film traces the meteoric rise of the brand through their iconic songs and revolutionary sound. 20th Century Fox and Regency Enterprises present a GK Films production Bohemian Rhapsody. Starring Rami Malek, Lucy Boynton, Gwilym Lee, Ben Hardy, Joe Mazzello, Aidan Gillen, Tom Hollander and Mike Meyers. Executive Music Producers Brian May, Roger Taylor. Supervisor Becky Bentham, Co-Producer Richard Hewitt, Edited by John Ottman, ACE. Production Designer Aaron Haye. Director of Photography Newton Thomas Sigel, ASC. Executive Producers Arnon Milchan, Denis O’Sullivan, Justin Haythe, Dexter Fletcher, Jane Rosenthal. Produced by Graham King, Jim Beach. Story by Anthony McCarten. Directed by Bryan Singer. This entry was posted in Uncategorized and tagged 20th Century Fox, 360 Magazine, Aaron Haye, about, Aidan Gillen, album, Another One BItes The Dust, Anthony McCarte, Arnon Milchan, Becky Bentham, Ben Hardy, billboard, Billboard Artist 100, Bohemian Rhapsody, Brian May, Bryan Singer, chart, Denis O'Sullivan, Dexter Fletcher, digital, Freddie Mercury, Graham King, Gwilym Lee, Hammer To Fall, hits, hollywood records, Jane Rosenthal, Jim Beach, Joe Mazzello, John Ottman, Justin Haythe, live, Lucy Boynton, Mike Meyers, Newton Thomas Sigel, pop culture, Queen, Radio Gaga, Rami Malek, Recordings, Regency Enterprise, Richard Hewitt, Roger Taylor, Somebody To Love, songs, studio, Tenzin Tsephel, the game, ticket, Tom Hollander, tracks, USA today, Vaughn Lowery, We Are The Champions on November 17, 2018 by wp360mag.